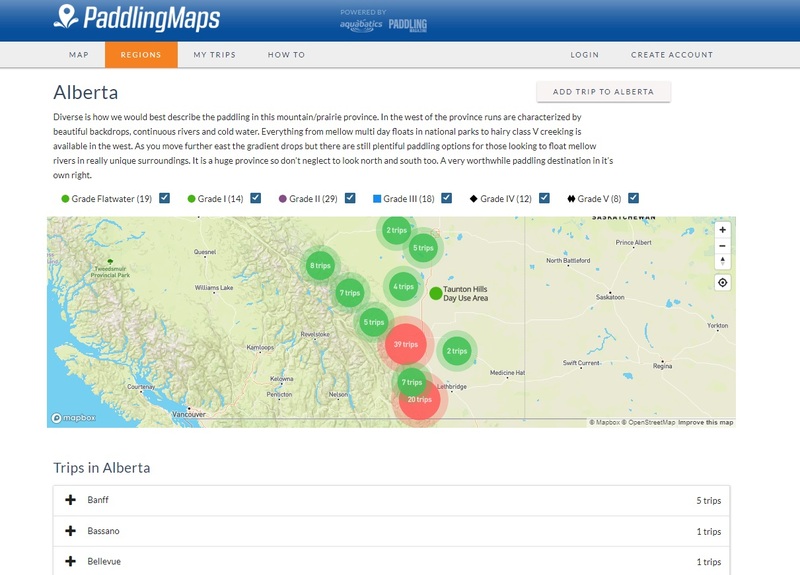 It is with a great amount of stoke that we are announcing the official launch of PaddlingMaps.com. Many of you will be familiar with the old Paddling 'wiki' site PaddlingABC.com, this is the new iteration of that paddling zone resource site. Paddling Maps has been developed in conjunction with Rapid Media and Apero Creative Development and sets out to be the river/lake/ocean paddling location resource of choice throughout Canada and beyond. As of launch, we have over 250 paddling locations (from Flatwater to Class V) located all over the world. The next step is to get the general paddling public involved to really populate river, lake and ocean trip paddling beta. 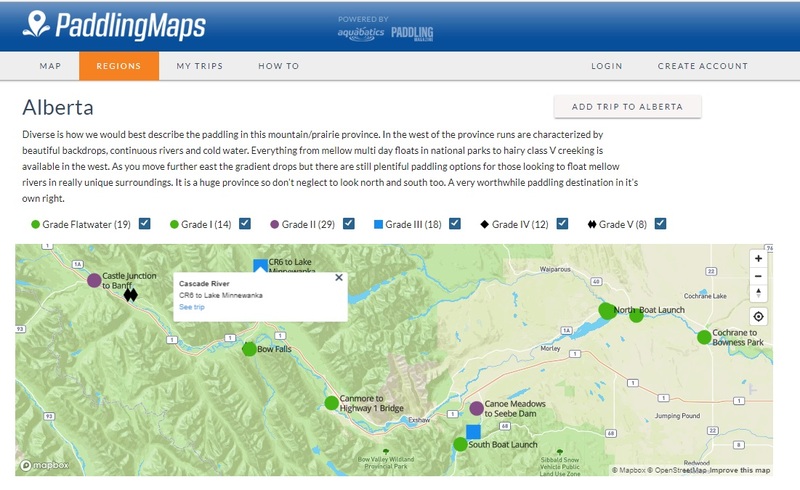 Although still in the (constant) refinement and development phase we wanted to get this information out there to get you, paddlers, using it it and hopefully providing new paddling locations and valuable feedback to ensure the site continues to evolve and grow into something truly indispensable for paddlers of all interest and ability levels. Basically, the site at this stage is funded by Aquabatics Calgary, Apero Creative Development and Rapid Media. Then we have a team of regional moderators spread across Canada and the world who know their local zones better than anyone. Moderators engage their local communities to add content and the the moderating organizations ensure the information is correct and appropriate for the website. Once approved, the rivers, lakes or ocean trips are available for both logged in and non-logged in users to access this information. These moderating organizations are a mix of clubs, businesses, passionate individuals and more. To date they have driven much of the information added to the site, and for that we are super grateful. On the homepage you are presented with a map of your nearby paddling locations. This is searchable by town or city and, you can see all zones by simply zooming out. The region page allows you to narrow down your search to the defined region (sometimes this will be a province, sometimes a stat and other times a country). Here you can use the filter to select paddling locations based on classification (Flatwater to Class V). As you zoom in you can then select individual paddling locations to get maps, river alerts and more information. 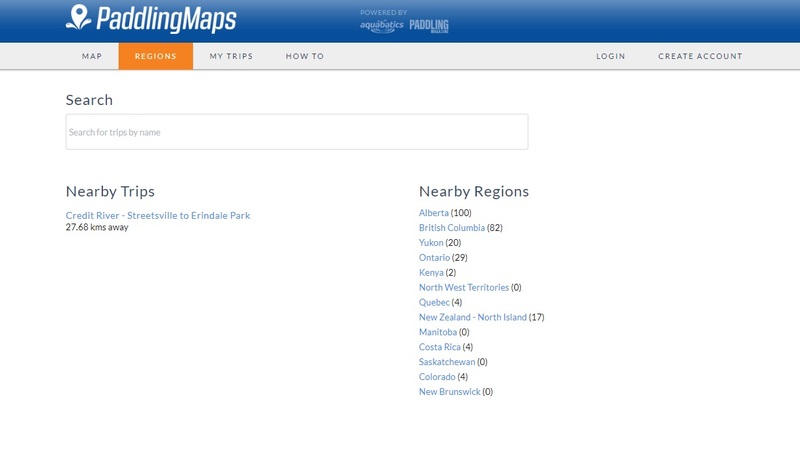 Image: Regions map zoomed in with basic trip info.